What do you do when a stranger you’ve met online asks you to join them on a 4000km world first kayaking expedition? Well, if you’re anything like me, you say Yes! I’ve spent the last few years leaping at every opportunity for adventure - this has taken me to some incredible parts of the world: I spent five weeks trekking across the wilderness of arctic Sweden; walked 1000 miles across France and Spain by myself; hitch-hiked from England to Morocco; and some other trips. My interest immediately piqued, I read on and established that a girl called Kate was looking for someone to join her on a world first expedition, kayaking from England to the Black Sea in Romania. Noticing the advert had been posted a few months earlier, I wasted no time in sending a brief email to Kate expressing my interest in joining her. The response came through quickly: Kate had received enquiries from over 80 women from all over the world and had narrowed her options down to two hopeful candidates, who were awaiting her final decision the following day. The pressure on, I quickly replied with my previous expedition and kayaking experience, as well as my age and location. That’s when we realised the stars had aligned: not only was Kate also from Oxford like me, it turned out she had been five years below me at school. She was also still in Oxford, as I was, living a few miles away. We immediately arranged a phone call and within a few days of our initial email exchange, we were both fully committed. Kayaking the Continent was officially on. Kate’s motivation to take on this challenge is one very close to her heart. After her dad passed away from pancreatic cancer while Kate was finishing her A Levels, she knew she had to do something to raise much-needed attention and funds for this disease. We are therefore aiming to raise £50,000 for the charity Pancreatic Cancer Action. Anna on the left - Kate on the right! The last five months have been a whirlwind of activity as we’ve slowly but surely made this crazy idea into a reality. There have been some key things to get into place: training and acquiring the necessary kayaking skills; sorting out our route and logistics; and funding. Training was the most straightforward of these. Kate and I joined a local kayaking club and immediately set about getting on the water as often as possible, under the watchful eye of the wonderful club president, David. However, things didn’t always go smoothly… On one particularly cold day in late December, a brief lapse in concentration resulted in Kate and I swimming in an icy Thames. We’re still not quite sure how we managed to capsize! Next up was attempting to piece together a network of canals and rivers that span a whole continent. This was not an easy task, but after many hours spent pouring over maps and books we succeeded in creating our 4,345km route. 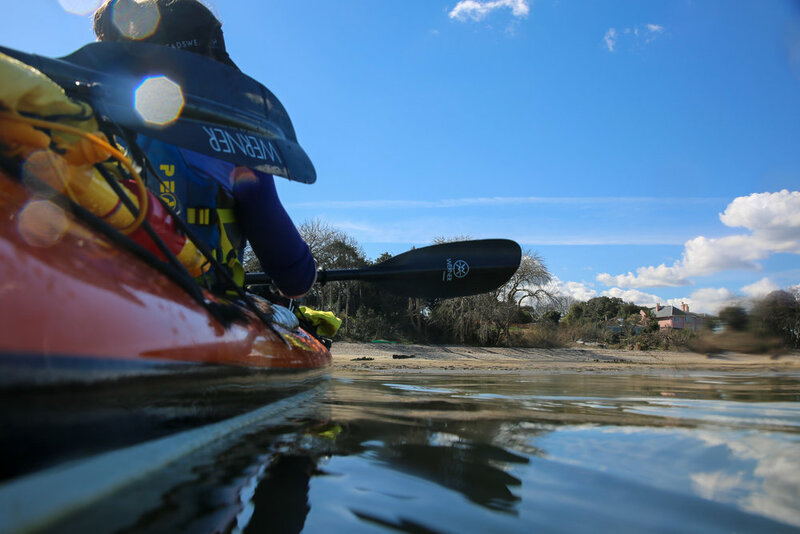 Beginning in London, we’ll paddle out along the Thames and around the Kent coast, before crossing the English Channel (accompanied by the obligatory support boat). Once in mainland Europe we will meander through France and Belgium, navigating over 200 locks. Reaching Germany will see us pick up the Rhine, Main and finally Danube River, Europe’s second longest river and the body of water that we will follow for over 2,400km through ten countries and four capital cities. If all goes to plan, almost four months after leaving London, we will reach the shores of the Black Sea. Funding has definitely been the least enjoyable aspect of preparing for this expedition; approaching businesses for either financial support or equipment donations was never going to be an easy task. However, our determination to get the expedition afloat paid off and after a few gruelling months we secured what we needed plus all the necessary kit for the expedition. We’ve been astounded by the amount of support and generosity - without it, none of this would be possible! That left only one thing: finding a kayak. We’d been in touch with a kayak manufacturer, but having a kayak built for us was not feasible due to time and financial constraints. Just as we were beginning to give up hope, we had a phone call from a gentleman called Bob, who said he had the perfect kayak for us. 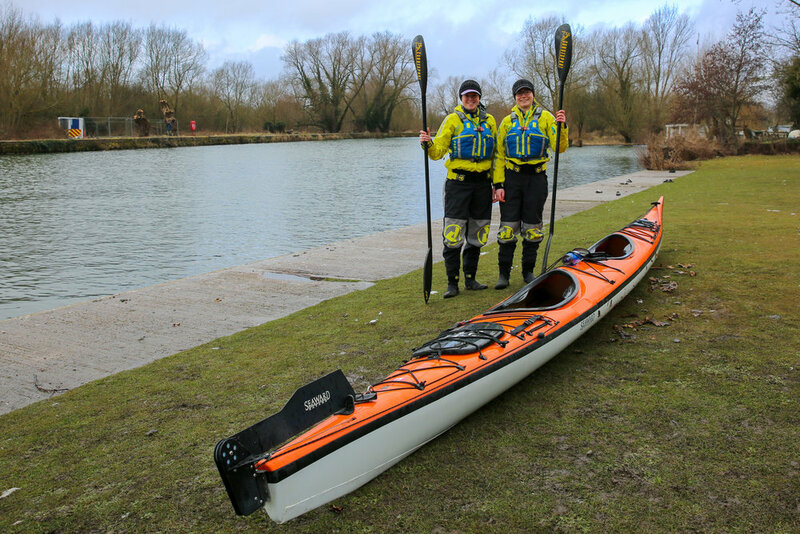 Having lost a close relative to pancreatic cancer, Bob was determined to donate his kayak to us in support of our cause. Sure enough, the kayak was exactly what we were looking for and a week later Bob dropped it off. With Benji the Kayak! Anna on the left - Kate on the right! 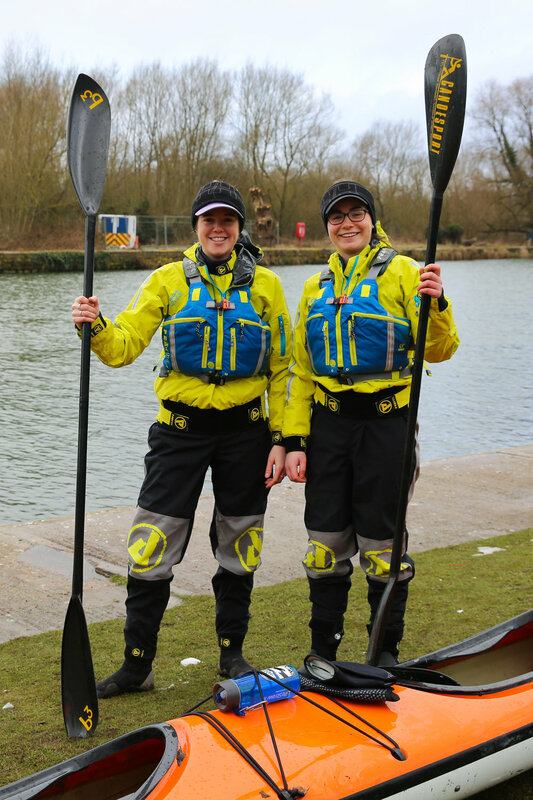 Given the amount of time we will be spending on rivers and canals, Kate and I both felt that this expedition provided an opportunity to contribute to research the health of the water we would be paddling along. We’re collaborating with FreshWater Watch, a research initiative of the Earthwatch Institute, to investigate the effect of urban areas on the health of freshwater ecosystems. Making use of citizen science, we’ll be taking water samples and uploading our results into an app, adding to the global pool of data. Our expedition kicks off this Saturday! If you can get to Westminster Bridge, we would love to have as many people as possible wave us off as we set out on this world first. For more information on how you can join us, please take a look at our Facebook event. To sponsor us, see here.